Elizabeth A. Burwell , age 89, of Malvern, Ohio, died early Wednesday morning, May 9, 2018 in Minerva Elder Care Center one day shy of her 90th birthday. She was born May 10, 1928 in Akron, Ohio and was the daughter of the late Louis and Rosina Rossi Petros. 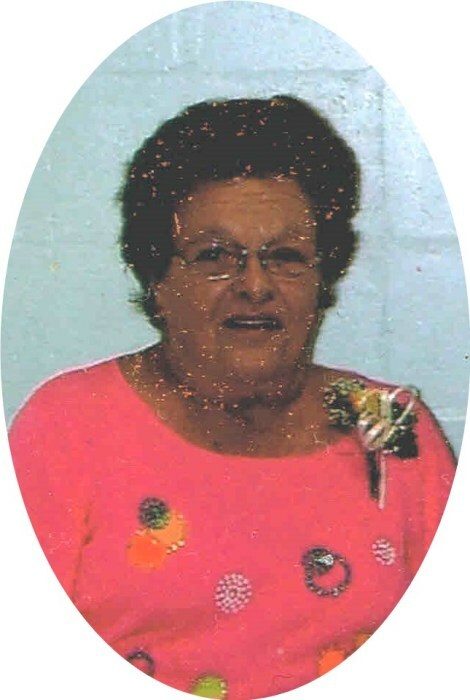 She was preceded in death by her husband Richard Raymond Burwell, who died March 23, 2008, a son, Frank Burwell, three brothers Frank, Ralph, and Dominic Petros, and a sister, "Vi" Scurto. Her remaining sister, Nancy V. Castellucci, passed away the following day on May 10. She retired from the waxroom of TRW, Inc. in Minerva after 21 years of service. She was an active and faithful member of the St. Francis Xavier Catholic Church in Malvern. She was a talented cook whose specialty was traditional Italian dishes. She was a fan of the Atlanta Braves and was a staunch Democrat. She was loving mother and grandmother who will be missed by her family and friends. She is survived by two sons Joseph (Kelli) Burwell of Magnolia, OH and Mark "Pete" Burwell of Malvern, and two grandchildren Jaret and Katie Sams of Alliance, OH. Father Victor Cinson will celebrate a concurrent Mass of Christian Burial for both Elizabeth and her sister Nancy at (Time) Wednesday, May 16, 2018 in the St. Francis Xavier Catholic Church at Malvern, with interment of her ashes to follow in the St. Francis Cemetery. A period of visitation will be held from 10:00 A.M. until the Mass begins at 11:00. The Baxter-Gardner Funeral Home at Sherrodsville is handling arrangements. The family of Elizabeth Burwell would like to publicly thank the staff of both Crossroads Hospice and Minerva Eldercare for their thoughtful and compassionate assistance. The family requests memorial contributions be made to Crossroads Hospice, 3743 Boettler Oaks Drive, Suite E, Green, OH 44685. To leave an online condolence message please visit the funeral home website.